Suspected assassins who attacked Senator Dino Melaye's home have reportedly escaped from prison, according to a report by Sahara Reporters. 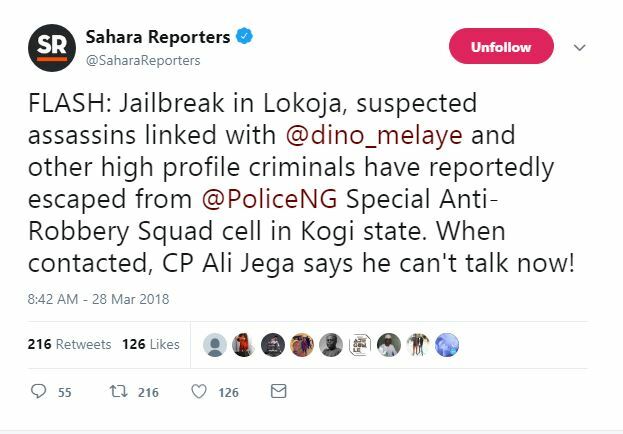 It was gathered that other high profile criminals also escaped from the Special Anti-Robbery Squad(SARS) cell in Kogi state. 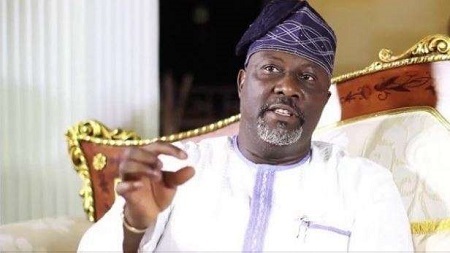 The assassins were arrested by the Nigerian police force a few months ago after they attacked Melaye’s country home in Kogi, shooting sporadically at his home and vehicles.